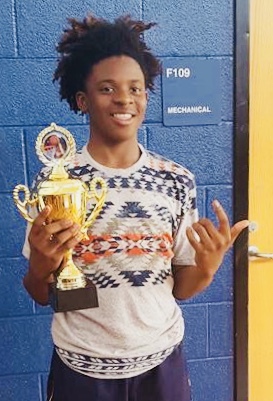 7th grade Razavier Carter “Zay” stands for Virginia, his teammates, his family and his community. Carter gets ahead academically at O.T. Bonner Middle School, as a B/C student. Razavier‘s dream colleges is Wake Forest, where he desires to study Engineer Technology and play collegiate basketball.